Although it feels more like winter in Washington this week, the beginning of spring marks the annual countdown to the frothy pink explosion of cherry blossoms around the Tidal Basin. A little backstory: in a gesture of friendship, Japan sent 2,000 cherry trees to the US as a gift in 1910. Nice thought. But the trees were infested with roundworms and insects and burned (fuller and interesting history at: http://www.history.com/news/the-drama-behind-100-years-of-washingtons-cherry-blossoms). Another batch of 3,000 arrived in 1912. Those worked. 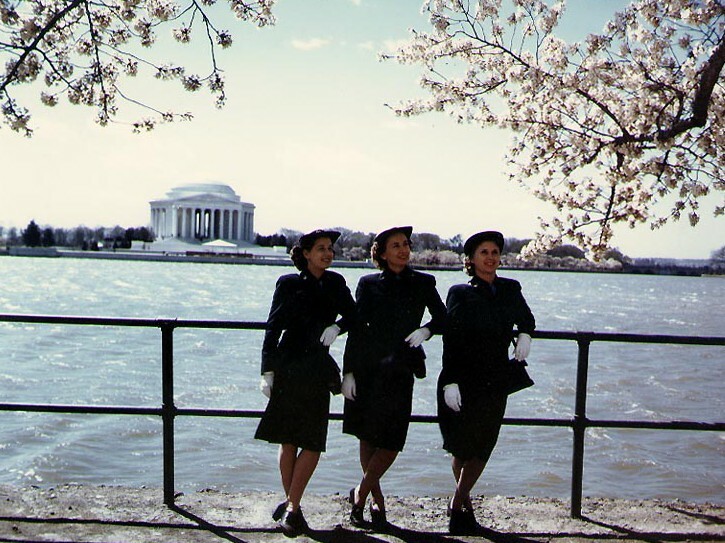 First Lady Helen Taft and the Japanese Ambassador’s wife planted the first 2 trees on the north side of the Tidal Basin. Further horticultural exchanges, festivals, parades, concerts, and crowned princesses followed. Bloom Watch is now a local tradition. 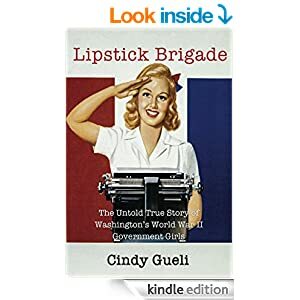 Since I’m celebrating- and obviously promoting- the release of my book Lipstick Brigade: The Untold True Story of Washington’s World War II Government Girls, I thought I’d share some fun photos of residents, tourists, Government Girls and servicemen visiting the cherry blossoms in wartime Washington (all thanks to the Library of Congress). After the Japanese bombing at Pearl Harbor, angry vandals hacked down four of the symbolic trees. Added security kept the rest of the trees safe throughout the war. There are now about 3,750 cherry trees (a mix of at least 10 different species) surrounding the Tidal Basin. Parking is a nightmare, walking around is difficult as every other person stops to take a picture, and the weather is annoyingly unpredictable. But when you’re engulfed in hundreds of thousands of pink petals that offer perfectly framed glimpses of the DC’s famous monuments, it’s definitely worth the effort. This year the trees are expected to be in full bloom (meaning about 70% of the blossoms are open) from April 11th thru the 14th.